When You Wish You Could Be Here...We Are! Keeping Your Property Safe & Secure For Less Than $1/Day! At CheckMark Services, we are always ready to assist non-resident vacation property owners with monitoring their properties focused in the Sargent and Caney Creek, Texas areas. Having qualified, cost-conscious property care for your location will help you keep tabs on your investment and give you peace of mind while you’re not in town. This is where we step in! Let our bonded professionals watch over and report on your holiday retreat on a weekly basis, or whenever you need us "on demand", 24/7. We're your neighbor and want you to enjoy your times here with no surprises and a lack of stress. Monitor your vacation property for under $1/day, and avoid surprises with our property-watch services. For cost-effective property watch and weekly reports, turn to CheckMark Services. Our team of bonded property care experts specialize in checking on and reporting issues related to vacation real estate and property in the Sargent, Texas area. We offer a variety of helpful and affordable property-watch plans and "on demand" personalized services that will help you keep your holiday investments in order without cleaning out your wallet. Our owner, Mark McMillin, understands the concerns you may have about the health and welfare of your property. 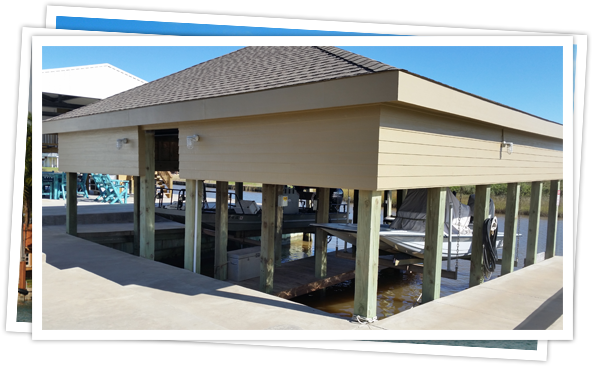 He has owned coastal vacation property for more that 10 years, so he knows how important it is to employ the right management team to watch over your home, boat, RV, and other assets year round when you simply can't be here. Sudden storms, temperature changes, appointments with Contractors/deliveries, and general property condition are always on your mind when away. CheckMark Services can assist you with all of these challenges and more. By engaging us, you can secure cost-effective, recurring checks/reports on your property or we can simply "go check on something" when you're concerned via our "On Demand" service. We keep an eye on everything, giving you peace of mind until you return to your vacation spot. When You Can't Be Here...We Are! Office - Monday–Saturday, 9:00 a.m.–5:00 p.m.